The future of work is remote. This event, hosted by Outsite, will focus on the opportunities and challenges of running a remote team. Dean Bosche, Toptal’s Head of Partnerships, will be among the speakers. 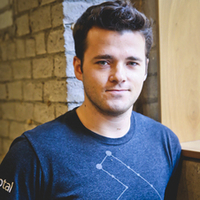 Toptal is the world’s largest fully remote skilled workforce, and as a member of the Enterprise Team, Dean has been helping to coordinate high-impact initiatives with a fully distributed team spread across the country and around the world. Toptal is proud to have a partnership with Outsite: all Toptalers are eligible to receive a free one-year Outsite membership as well as discounted nightly rates at Outsite’s coworking co-living locations around the globe. The event takes place on June 18 at 6:00 pm. For more information, please see the event page.